I’ve been getting questions about how we secure our coop. 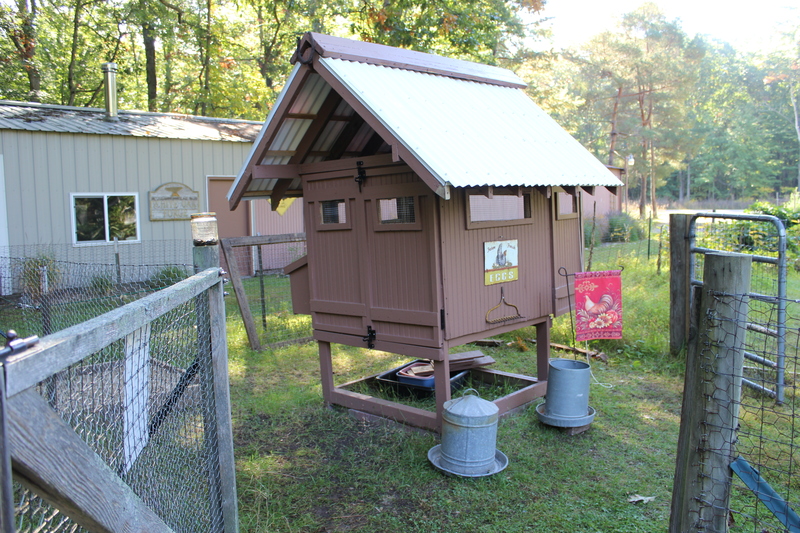 When we built our first chicken coop some ten years ago we were total novices as far as chicken keeping goes. I mean “green” city folks who moved to the county and one day brought home three free chickens given to us by the local the plant nursery, no coop ready. Obviously I don’t recommend that “non-plan” now. 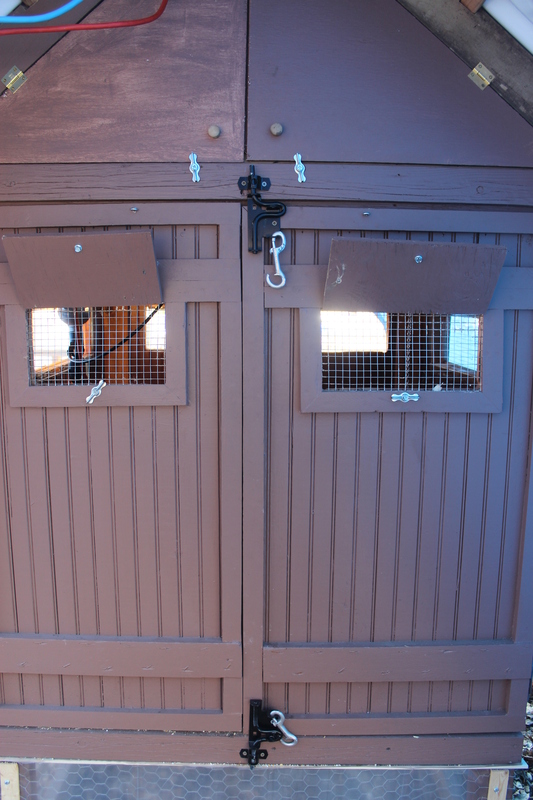 The back of our coop with double doors that both open out and secure locks. Sadly we lost our girls to hungry raccoons and we learned our lesson the hard way. Do the research next time and wait until the until the foundation of safe chicken keep is laid before taking the plunge. 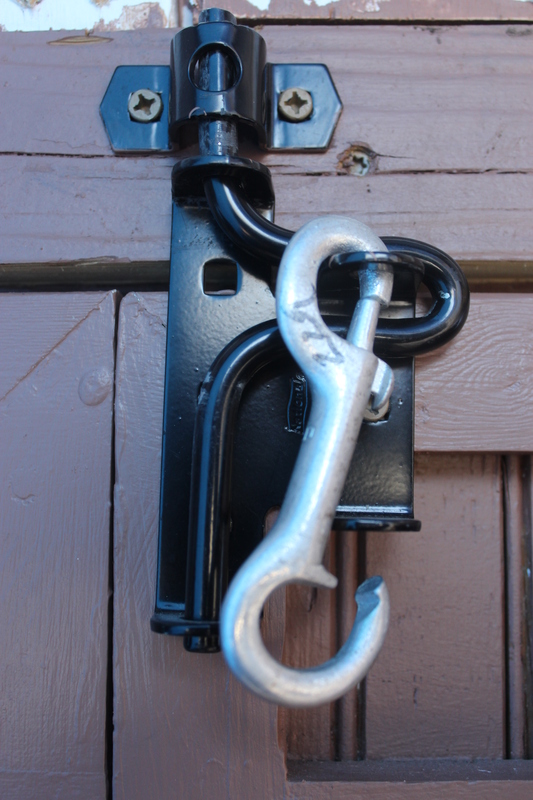 Our gate latch system is double locked using a metal dog lead hook. 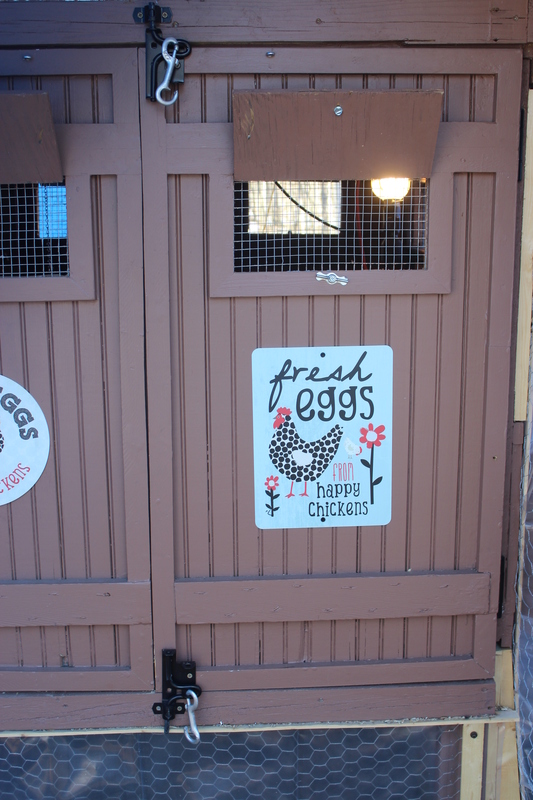 Our quickly cobbled together coop didn’t keep our chickens safe for long and after losing them and crying some “lesson learned the hard way” tears I vowed when we were ready to have chickens again, we would do it the right way next time. And we did. This meant we did not get our chickens for almost 8 more years and until the new coop was built and we knew it was predator proof. 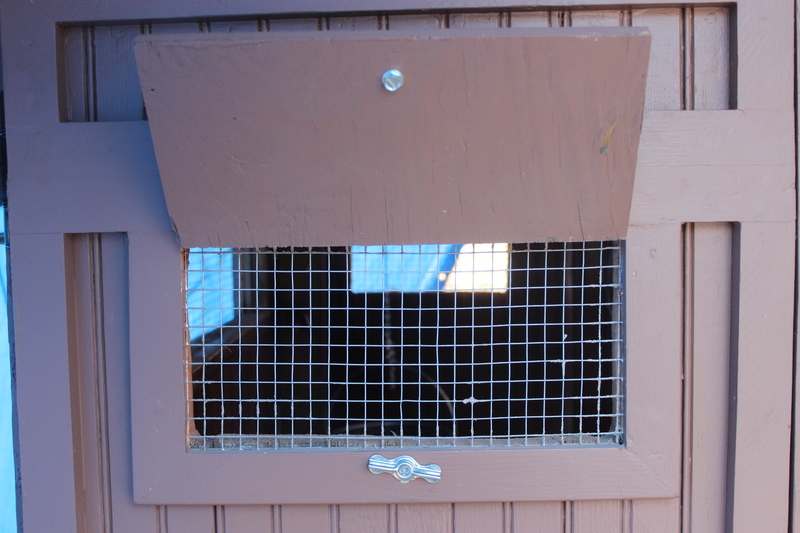 To us this means; metal gate latches, hardware cloth used throughout, spring type latches on the laying boxes that are located inside the double/locked up covered run and tiny hexagonal chicken wire and so on. 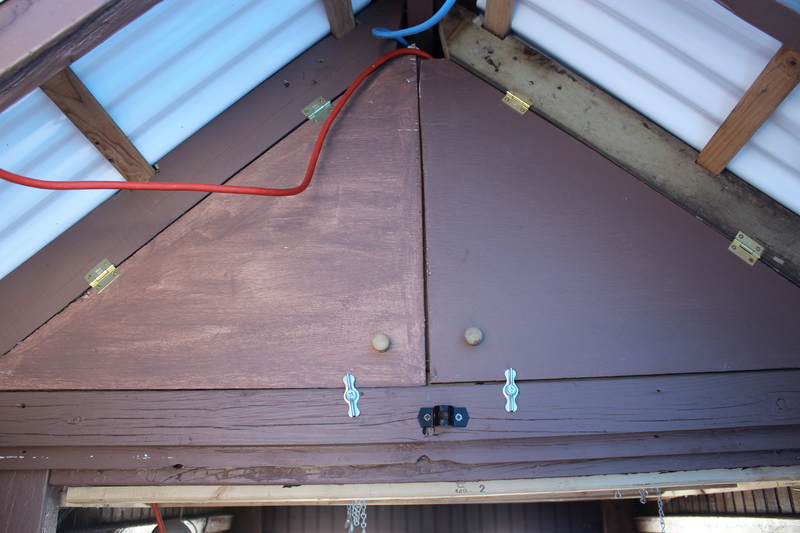 Hardware cloth behind a wood frame and “shutters” that double secure the coops windows at night. Because raccoons can open hook and eye style locks as well as deadbolts, we use a gate latch with dog lead secondary lock system on the top and the bottom of our coops double doors. 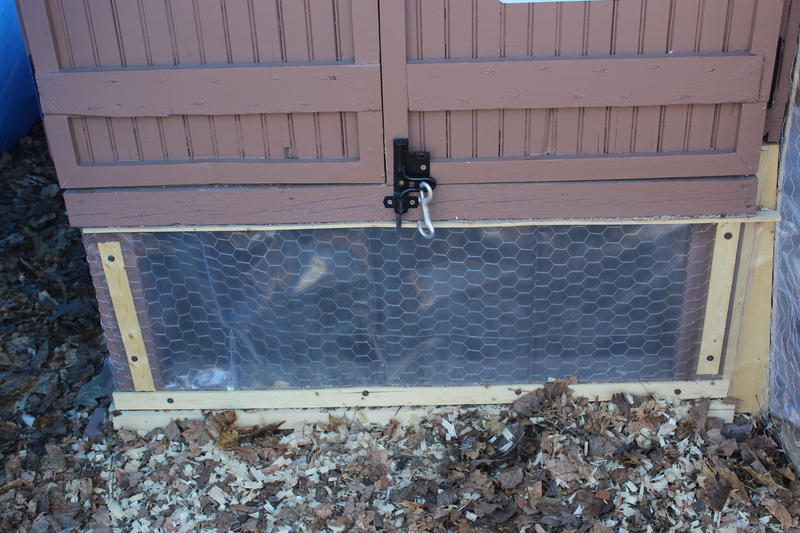 The dusting area below the coop has chicken wire and plastic to block the winter winds. These gate latches were not cheap, they ran about $10.00 per latch purchased from Menard’s, but the peace of mind is worth the cost. And besides we repurposed a lot of wood, was given a gate, plastic roofing and other parts so I feel we could buy super secure hardware for our coop. Hardware cloth separates the girls from the removable summer vent area. With animals, I have learned one never says “never”…but at least to date we have no predators make it past our “super secure” double lock system.